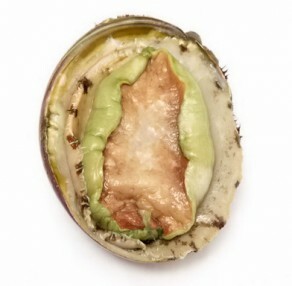 Place abalone in a food processor and pulse till finely chopped. Transfer abalone into a bowl,add egg,sour cream, chilli ,scallot, cucumber,fresh chives.Stir in lemon rind,orange rind, salt, ground coriander,white pepper, and cornflake crumbs. Slowly add juices until mixture is slightly wet,but still holds together. Cover and chill for at least 1 hour. Form chilled mixture into 12 balls (golfball size), lightly roll into panko breadcrumbs. Flatten ball to form 1/2 inch thick patties. Pour oil into skillet (around 1/2 inch), Fry Patties 3-4 mins per side, in small batches until golden. Remove from pan, and drain on absorbent towels. Transfer onto a baking sheet, and keep warm in a 200deg oven. Serve with dill infused whole egg mayonnaise or, if you prefer, sweet chilli sauce.